The four large Unit Telescopes comprising ESO’s Very Large Telescope sit quietly beneath a purple and gold sky, calmly basking in the last rays of sunlight over Cerro Paranal in the Atacama Desert, northern Chile. The tiny crescent Moon can just about be seen at the centre of the frame — the Moon looks “upside down” from here, its familiar crescent shape apparently inverted. This is normal for the southern hemisphere as a result of the path the Moon takes through the night sky, and the perspective from which the observer is viewing it. This appearance is also known as a “wet Moon” or “Cheshire Moon”, as the tips of the crescent curve upwards to represent either a bowl — which was believed to slowly fill with rain in Hawaiian mythology — or the wide smile of Lewis Carroll’s Cheshire Cat from Alice’s Adventures in Wonderland. This photo was taken by ESO Photo Ambassador Miguel Claro. ESO is very proud to feature the work from its Photo Ambassadors, a group of world-class astrophotographers who unfailingly capture the clear skies above ESO’s observatories in Chile night after night. 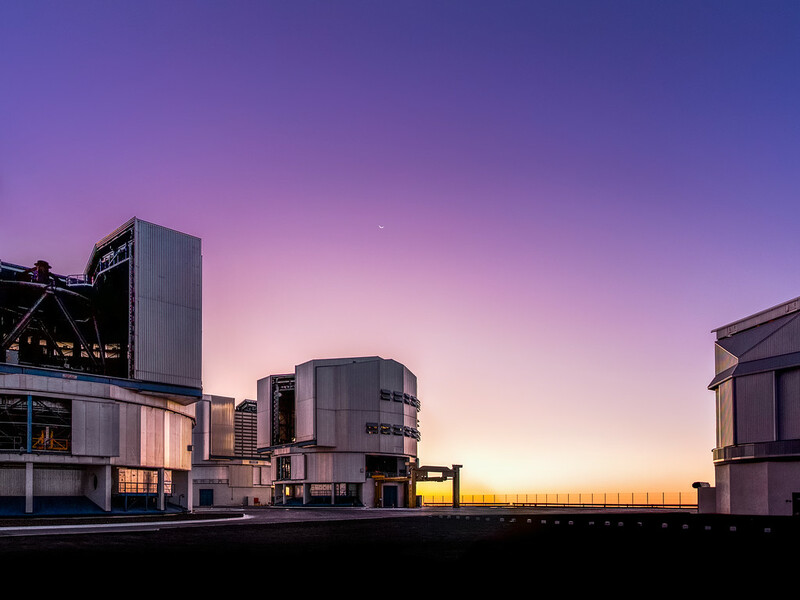 A great many of our ESO Pictures of the Week from Chile are taken by Photo Ambassadors. 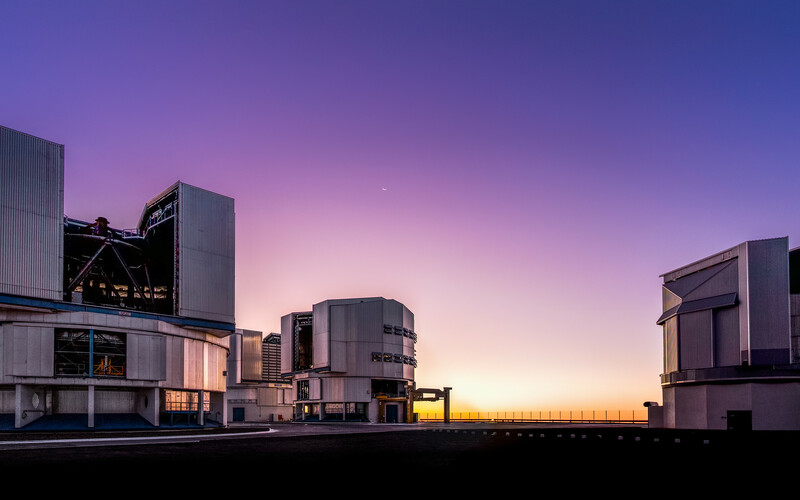 If you would like to see Paranal in the cool light of twilight, then check back in with next week’s ESO Picture of the Week!